Will tourists stay away in wake of attack? Experts are predicting a sharp fall in visitor numbers following Friday’s terror attacks on two mosques in Christchurch, despite current tourists pledging to stay and support the city. An Australian-born white supremacist opened fire on worshippers as they prayed at the Al Noor and Linwood mosques in the New Zealand city, killing 50 and injuring dozens more. Economists writing for ANZ’s Weekly Focus report argue tourists are likely to avoid Christchurch for a time, particularly those from risk-averse Asian markets. “The impact will be smaller than if tourists themselves had been targeted, as in some terrorist attacks overseas, but the impact on tourist numbers will be noticeable nonetheless, and it will likely take at least a year to dissipate,” said the report. It is another blow for a city which was just returning to normality following decimating earthquakes in 2011. Last year Christchurch generated $2.3 billion in tourism revenue. “Pre-incident we were looking at the strongest season post-earthquake,” said Loren Heaphy of the city’s promotional agency ChristchurchNZ. “Tourism has been impacted by terrorism around the world as we have seen previously,” he told AccomNews. Dr Beirman said that while the impact on tourist arrivals will be smaller than if tourists themselves had been targeted, he still predicts a dip in visitors. “People travelling to Christchurch might worry about the shaking from earthquakes or a natural disaster but never something like this,” he said. Locals, however, have a more optimistic outlook. 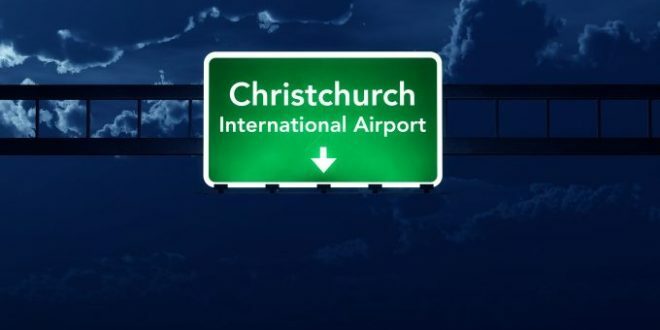 Chris Roberts, CEO of the representative body Tourism Industry Aotearoa, said: “The New Zealand police have advised Christchurch is safe for residents and visitors. “Christchurch is open (transport, accommodation, attractions etc), and warmly welcomes visitors who wish to explore the city or to pay their condolences. “We are told by our Christchurch colleagues that many visitors are coming into the city to pay their respects and TIA, together with many other organisations, is helping to communicate where and how they can do this. “As our Prime Minister Jacinda Ardern has said, New Zealand represents diversity, kindness and compassion and visitors can be assured those values remain. Ms Heaphy said ChristchurchNZ was fielding a stream of enquiries from travel agents and all tourist attractions were now open as usual. “The biggest question we’re getting is ‘is there somewhere our visitors can come to pay their respects?’ which is actually pretty heart warming,” she told Stuff. Cruise Association chairperson Debbie Summers said many passengers were sticking to their tour itineraries to support the city and demonstrate solidarity. “Hate will not beat us,” she said. Canterbury branch president of Hospitality NZ, Peter Morrison told the news agency he was hopeful visitors would not be deterred from coming. He argued the situation was very different to 2011, when visitor numbers dropped by some 100,000 and took six years to climb back up post-quake, because tourism operators are now all open for business. And he said guests at his Christchurch hotel were understanding and told him other countries had far greater terror threats. Mr Roberts, meanwhile, reflected the sentiments of tourist organisations everywhere when he told AccomNews: “The TIA team is shocked and deeply saddened by this terrible assault on our Muslim community. I don’t think it will make any difference to the number of tourists visiting New Zealand. However in view of the comments from the president of Turkey I expect a decline in the number of Australians visiting there.